PayPal available for payment - Please call or E-mail Badger Training Center for details. Sales Prep. Service Available, Please call or E-mail Badger Training Center for details. 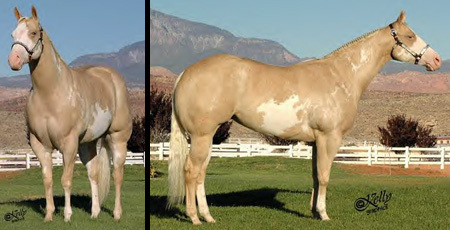 2006 APHA Pac #10 - earner of $4400 in Futurity monies. 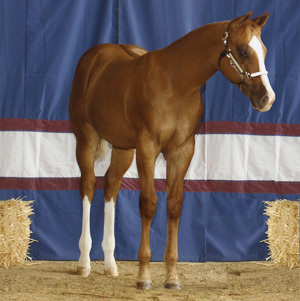 Earner of four 2005 Year End Championship awards - Four 2006 Year End Grand Champion awards and foru reserve champion awards. 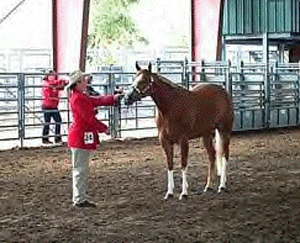 15.2 hands as a coming two year old. then go on to english and western events in the aflternoon. by ZW Spanish Gunfire out of Dun Bar Time. 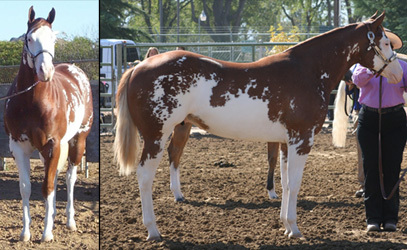 Has pinto and APHA points. by Justa Cool Clue out of BJB One Fine Lady. 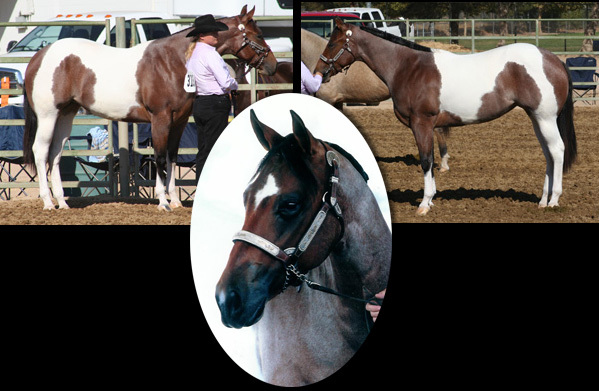 Has won all three weanling Futurities he was entered into and has a grand champion stallion. A big bodied fill. 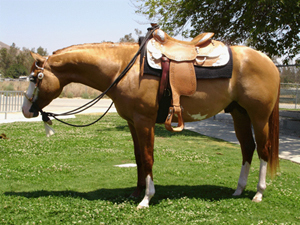 She is a pretty mover that wold easily go on to a riding career. Sweet and easy to handle.